Although I understand my workshop attendees’ reluctance to speak in front of their peers, I also think when given the opportunity, they should take it. They should, for example, deliver their elevator pitch without warning. “Tell me about yourself” is a directive they will most likely get in an interview. They should also not pass on answering interview questions I spring on them. Can they take the fifth during an interview? Hell no. “Tell me about a time when you solved a problem at work,” I’ll ask. “I’d rather not,” they say. Okay, see how well that goes over at an interview. Some of you might disagree with my insistence that they deliver their unrehearsed commercial or answering an interview question when they least expect it. You might think it’s putting them on the spot, making them feel uncomfortable, testing their courage. Darn tooting it’s testing their courage. Despite what anyone says, the job search requires courage. 2. Telling people you’re out of work. I know this seems like a no-brainer, but how can people help you if they don’t know you’re out of work? People tell me they’re embarrassed because they lost their job, even if the company was suffering and had to release employees. I encourage them to let as many people as possible know they’re looking for a job, even if it means they’ll be embarrassed. It takes courage to do this, but it’s counterproductive to try to go it alone. 3. Attending organized networking events. You’ve read that “no one likes networking events.” This may be true for you, for others, for most. But networking events offer the opportunity to engage in conversation with other job seekers who are at these events to seek leads, as well as provide leads and advice to you. I’m not sure she used that word, but I got the picture that someone reading it would think it intimidating or laborious. Asking her to read my cover letter took courage and prompted me to edit it. 5. Participate in mock interviews. This may be the closest you’ll get to an actual interview. Mock interviews are a valuable teaching tool and any organization that offers them is providing a great service. But they don’t have to be conducted by a professional job coach/advisor; a friend of yours can conduct them. Having a camera to record your answers and body language is a big plus. I remember being asked to participate in a mock interview years ago. I flatly refused. I lacked courage then. 6. Reaching out to your LinkedIn connections. Introverts may understand this act of courage more than their counterpart. Your LinkedIn connections are not bona fide connections until you reach out to them in a personal way, as in a phone call or meeting them for coffee. Some of the connections I’ve reached out to have proven to be great networking partners, while others had little in common with me. Oh well. Doing this takes courage. 8. Getting off the Internet. Not completely, but use it seldom and in different ways. Instead of defaulting to your comfort zone like Monster.com and other job boards, use LinkedIn to find relevant connections through its Companies feature, and visit your target companies’ websites to conduct research on the labor market. 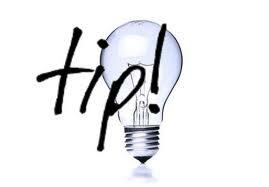 Contact those companies with a networking email to ask for networking meetings. This takes courage but will yield better results than using the job boards alone. 9. Speaking of networking meetings. Otherwise known as informational interviews, networking meetings have been the reason for many of my job seekers’ success in landing jobs. But they don’t come easy, as many people are busy, so it takes courage to ask for them. Once you’ve secured a networking meeting, remember you’re the one asking questions about a position and the company, so make the questions intelligent ones. You’re not there asking for a job; you’re there to gather information and get advice. 10. Going to the interview. You’ve prepared for the interview by doing your research and practicing the tough interview questions, both traditional- and behavioral-based. You’re prepared, but still you don’t know what to expect. How will the interviewers react to you? Will they ask you questions you’re not prepared for, ones you didn’t predict? Job interviews will require the most courage you can muster…even you veteran interviewees. Readers, what I’ve described as courage may seem like logical and comfortable job search activities. You may thrive on networking, feel comfortable showing others your résumé, and, above all else, attending interviews. To you I say “touché. Many others may understand exactly what I’m talking about. To them I say embrace the challenges presented to you in the job search. Show courage. Show courage. Show courage. This entry was posted in Career Search and tagged Courage, informational meetings, interview, job search, LinkedIn, mock interviews, Networking on September 21, 2017 by Things Career Related. I read an entry on the Personal Branding Blog which stated, “According to ABC News, 80% of today’s jobs are landed through networking.” This percentage of networkers represents smart jobseekers who understand that looking for and finding work takes…work. They understand that personal networking coupled with online networking will yield better results than spending the majority of their time on Monster.com, Indeed.com, Dice.com, CareerBuilder.com, and other job boards. Smart jobseekers attend networking events consisting of jobseekers, business owners, professional associations, meet-ups, etc. 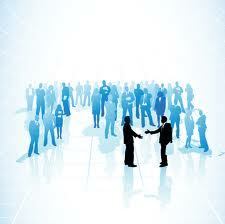 However, networking events are not smart jobseekers’ only, or even major, source of networking. They also utilize their rich network of former colleagues, friends, relatives, neighbors, acquaintances, and others; or start the building process…and keep it going once they’ve landed a job. Some jobseekers misunderstand the purpose of networking. They think it’s all about them. They constantly ask without giving, which is the quickest way to drive away potential allies. People who have the true networking mindset realize that they should first help others, before thinking of themselves. The bottom line is helping other jobseekers will help you. Paying it forward increases your odds of landing a job. And, there are plenty of great networkers who will help you, as they realize they’ll eventually get help from others. They are patient and determined. Here’s what one of my customers, who recently got a job, told me about proper networking: “Have a conversation with people [as opposed to] giving them a 30 second commercial. It’s not about “I need a job.” Have a really good conversations with a few people at an event and listen to what their needs are. Think of how you can really connect with them and support them vs. just getting a business card. Networking only makes sense, so I’m perplexed as to why some jobseekers don’t embrace it. I know that personal networking means going outside one’s comfort zone, particularly if you’re an Introvert (as an Introvert, I know the feeling). Developing the attitude that “I just have to do it” will help you over the hump. This entry was posted in Career Management, Career Networking, Career Search and tagged career networking, informational meetings on January 1, 2013 by Things Career Related.